Living in harmony with spring water from the beautiful and bountiful Mt. 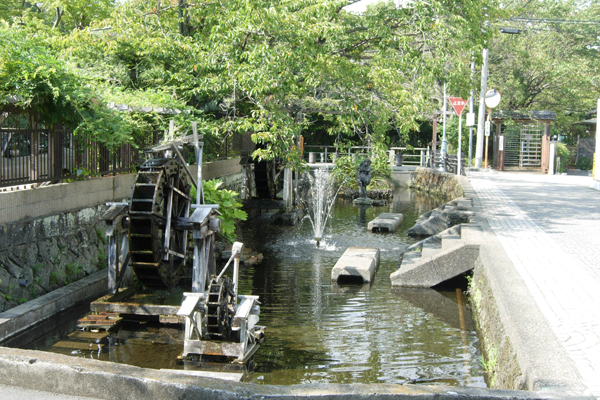 Fuji, the people of water-capital Mishima have long enjoyed the soothing calm of parks and clear running water – so, why not come and enjoy those soothing delight, too! 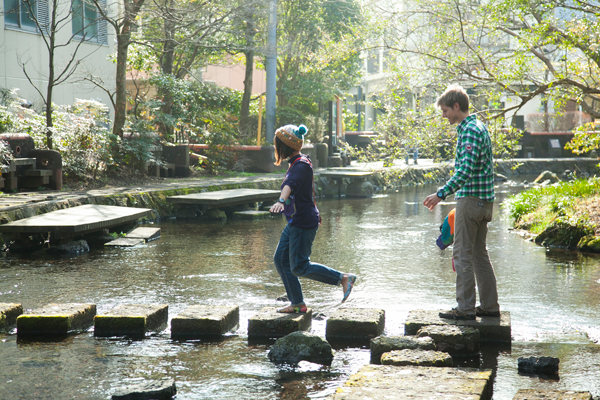 Stepping stones have been set in the river, so that visitors can enjoy a stroll in the babbling shallows. And, in summer, these shallows become a lively playground for people to splash about in. 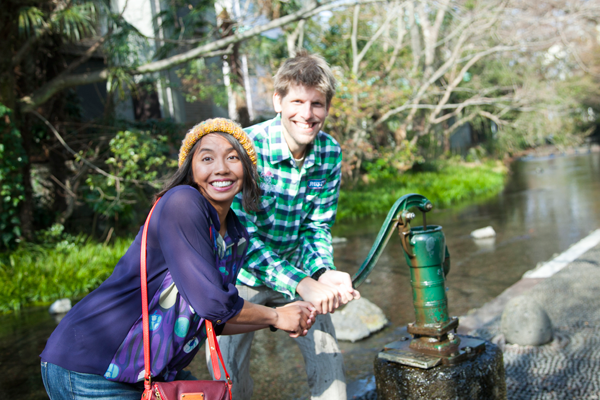 Near the Hirosebashi Bridge, a nostalgic hand pump is a fixture people come to try. Shirataki (white falls) Park earned its name from the spring water that gushed like a silvery waterfall. And, in summer, such gushing spring water can be seen, and its coolness enjoyed. 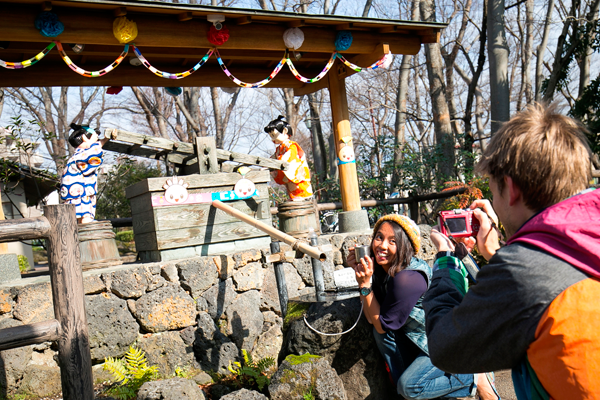 Stand in front of the “Megumi-no-Ko” pump attraction, and the two doll characters will start pumping water for you. 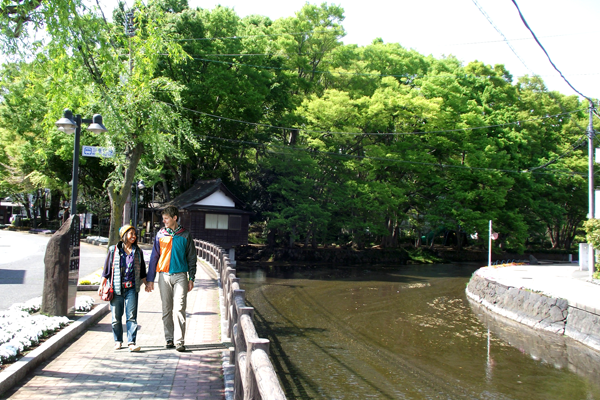 Cut through the park, and you will come to the Mizube-no-Bungakuhi(Literary Monuments along the River) – from here, you can walk along the willow-lined Sakura River until you reach Mishima Taisha Shrine. The area in and around Shirataki Park is a great summer spot for paddling and splashing about in the shallows. 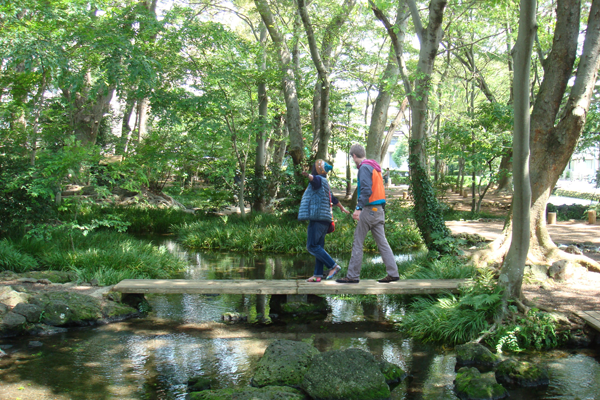 The river that gets its source water from Kohama Pond in Rakujuen Park is affectionately referred to by locals as Miya-san’s River after the Komatsunomiya villa in Rakujuen Park. The water from the river drives monuments such as a fountain and a waterwheel that have been installed for the enjoyment of visitors.